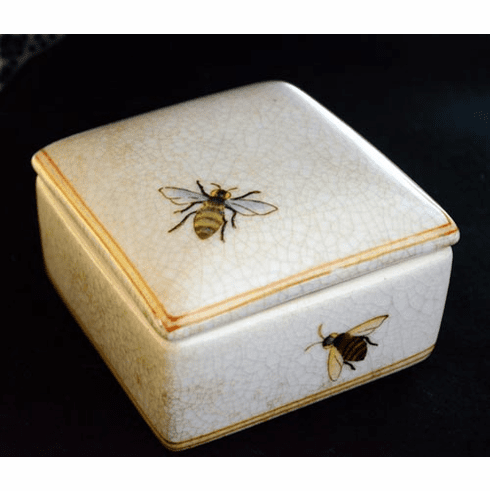 Porcelain Honey Bee Box - Honey bees inside and out on this porcelain box, adorned with an antique crackle finish and honey gold trim accents. Gift Boxed. Measures 4" square.